A nice way of putting it. I have written about the failure of our education system in my earlier posts. Please click on my “education” category. My definition: Rempitism (noun; also concept and ideology borrow from the neo-Malay word rempit) – a Malaysian phenomenon in which youth uses the public road system to break the speed limit with customised motorbikes in illegal, past-midnight drag-races that rob the restful sleep of peaceful citizens; a phenomena akin to a capitalist economy of a struggling showcasing Third Word nation such a Malaysia that hypermodernises beyond the ability of its people to cope with its sensationalised designs of ‘economic miracles’. Both phenomena rest upon idiotic pride and arrogance that endanger a peaceful, ethical and sustainable future. Both present clear and present danger on the equally dangerous highway of globalisation. See also rempitise (adjective) and Mat Rempit (special noun). A ‘rempitised’ economic and education system ‘rams’ human beings into different ‘pits’ (hence the term ‘rempit’) of the conveyer belt of the capitalist production system; creating what looks like a natural progression of meritocracy in education and social evolution. The foundation of this system is neo-colonialism, structural violence and the alienation of labour. Is our public education system failing? Is it producing more and more Mat Rempit, Anak Abu (anak-anak angkatan bawah usia), bohsia (bawah usia or the under-aged girls), bohjan (jantan bawah usia or under-aged males), gangsta rappers, hip-hoppers and youth alienated and put at-risk by our education system? Are we creating class systems in education the way we have created varying types of classrooms that correspond to different classes in society? Why are we seeing the tuition industry becoming a billion-ringgit business, helping our children memorising more and more but understanding less and less of what they learn? Do we have people in the education ministry well versed enough in analysing the phenomenon of our rempitised economy (speeding it up illegally) and how this is directly related to how we are ‘schooling’ our society? Do we now have an entire system of higher education inheriting the children of our rempitised economy and contributing to the low quality of graduates – who cannot think critically and are always subjected to the whims and fancies of a totalitarian regime only interested in tightening the stranglehold on our universities? British and American scholars like Paul Willis, Henry Levin, Peter McLaren and Martin Carnoy who studied the phenomena of schooling in capitalist societies observed the nature of the learning process in countries in which the rapid and unreflective industrialisation and post-industrialisation process have created one-dimensional citizens out of youth. Schooling teaches these children to become good and obedient workers in a economic system that reduce the larger population into labour, while enriching the upper class into people and property-owners in a rempitised economy. Is our education ministry training teachers well in urban education and in the schooling of our at-risk youth? Do we actually know the root cause of rempitism and gangsterism in schools, and are we able to design better learning systems for those who are already marginalised and left behind by our rempitised economy? I have a sense that the cases of gangsterism and bullying of teachers will continue to increase. 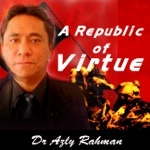 More private schools will be built and Malaysians will lose confidence in their public schools. More private schools mean more divisions in society. The rich will produce better schools and the poor will be left behind in this rempitised system we have all created in the name of the New Economic Policy. Teachers do not have the necessary concepts and skills to deal not only with the Millennial children (high-tech, high gadgetry, low attention span, low school-tolerance) but also the rempitised children who have low skills of reading, writing and computing. Children left behind will be those who become Mat and Minah Rempit. They will be destructive to the classroom process and will translate their social anger into counter-productive and destructive activities. These are the ones who will be made criminals as a result of an uncaring education system that criminalises the human mind by placing unmotivated, uncreative and unprepared teachers to develop the untapped geniuses in our classrooms. Should we rename the Mat and Minah Rempit as Mat Cemerlang (Excellent/Glorious Ones) as suggested by an Umno leader? Should we build a racing circuit for them to continue drag racing? I do not think we should. I think those who propose such names and measures of glorification need radical counseling and education on the meaning of education. I think it shows a clear lack of understanding of the root of the problem. Wrong diagnosis of social ill. I think we should beef up the highway police force and stop illegal drag racing, round up the Mat Rempit and send them for six-month rehabilitation in rempit camps near Perlis, guarded by graduates of the National Service. We should build a somewhat safe motor-cross clearings/zones and let them drag-race happily in these areas until they are exhausted. In between these sessions we ought to give them a good and safe motorcycle education so that they will understand what it means to ride safely and not endanger the life of others. We can have the Biro Tata Negara write the module so that good indoctrination programmes will be used more on these rempitised and rempitising youth instead of those who do not need to be indoctrinated into any form of totalitarianism. Peace-loving, rest-needing, night-sleeping citizens affected by the activities of rempitism will appreciate this radical programme of reconfiguring the mind of the rempitised youth. In the meantime, how do we deal with the leadership of the public education system? We need to start by selecting only those who are well-versed in the entire spectrum of education. We have ministers, educational experts, specialists and educational representatives who either have minimal classroom experience or none at all – let alone have much-needed knowledge in the history, theory, post-structurality and possibilities of education. We place them in this ministry based on political considerations. They mess things up and show their inability to understand where our youth are heading, or how to design an education system good enough to reflect the dream we have – a dream of a just, equitable, environmentally sustainable, intellectual and ethical society. We are more concerned with having our students and teachers pledge blind loyalty to the signs and symbols of power; one-dimensional thinking; and politically correct behaviour instead of developing, celebrating and further grooming good teachers who can radicalise the minds of the youth of tomorrow. We force our university students to ceremoniously recite the Pledge of Loyalty, and round on those who protest against corruption and social injustice. We do this against the backdrop of our speeded-up, hypermodernised economy – one we rempitised in the name of the New Economic Policy. The question for us now is: how do we de-rempitise our society?